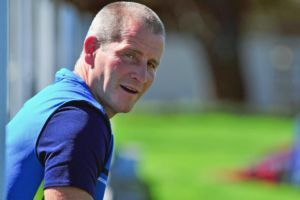 Former England rugby head coach Stuart Lancaster spoke to Stephen Larkin about the close relationship between business and sport and the pressure that went with leading the England team. Can you draw any similarities between being successful in sport and being successful in business? I believe there are big parallels between the two. Sport is slightly different as you have a winner and a loser and it’s often played out in the public domain, so you are very much exposed to everyone else’s opinion. But the way you try to build the right teams, get the best out of everyone for a collective goal and aim for long-term success are key components for both sports teams and businesses. At the end of the day, it’s all about dealing with people. Working in management positions comes with pressure, have you any tips on how to deal with pressure? It can be very difficult to go into a leadership position. I went into a few leadership positions when I was quite young and I think the first thing is to make sure it’s a position you want to be in. The main tip I’d give for someone going into a position of leadership is to be clear on what your philosophy is and what you believe in before taking the position. In a rugby context, that would be my on-field philosophy (i.e. what way I want my team to play) and secondly the off-field philosophy such as the cultures and values we build the organisation around. So identify your philosophy, and when times are tough it might not be a popular philosophy, but at the end of the day you can still look yourself in the mirror and say you stuck to what you believed in. After a difficult loss, did you find anything that really helped you unwind? For me, the main thing was going home and watching the game again to see what went wrong. After that, I can look at finding a way of working on that problem in order to work to a solution. So my tip for unwinding is to try and identify a solution as quickly as possible. You previously held the biggest job in world rugby, were there times where you doubted yourself? I never doubted myself, apart from doubting my sanity for taking on the job (laughs), because it was a really challenging job taken at a challenging time. The pressure of building a winning team with such a young group versus building long-term success was always there. When we did lose, the criticism that followed obviously hurt. It was the hurt of my family that people don’t really understand because it goes beyond just me. But to answer the question, I never doubted myself but ultimately it was a tough job that required a lot of resilience to get through it. How important is it for you that your team shares a common goal? Well in rugby, it can be evident that after a couple of defeats cracks can begin to show, but that comes from a poor culture in the organisation. It was so important to bring in the right people to get the right culture and strive towards a common goal. Even though we didn’t win all our games in the lead up to the world cup, when we did lose we always remained a team and that helped us through the tough times, because if there’s a bad culture in place, the organisation can quickly fall apart. Are there any decisions that you made that you regret? I look at myself every day and think there’s something I could have done better, whether it’s the training session we had today or a meeting I had with the players. Regret is a really strong word, but there are definitely things that I would have done differently and I don’t think any leader would say otherwise, but everything I have done was with the right intentions in mind. The key thing is to make sure the positive things you have done far outweigh the other stuff. Are there any leaders you admire? There’s probably too many to name, but I read a lot of books and one of the best books I read was by a man named Bill Walsh who was an American Football coach and wrote a book called ‘The score takes care of itself’ on leadership which I thought was excellent. Even though I never knew him, he’s had a big influence on me. I believe you were surprised by how good the atmosphere is in the Leinster dressing room, care to share more on that? Well, I wouldn’t really say it was just the atmosphere, it was more the sense of identity. Before I came here, I never realised how many players were home-grown and are from Dublin or the surrounding counties. I think that brings a real community feel to the team and that sense of belonging to an organisation is incredible, so that was probably the thing I didn’t appreciate until I got here. 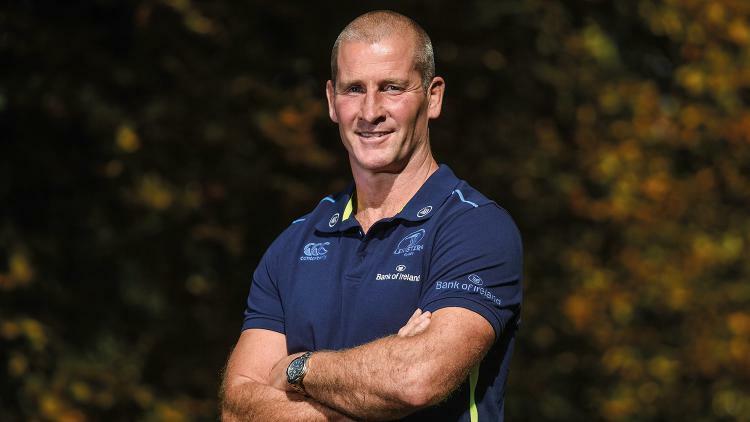 Are you confident about Leinster’s chances of winning the Champions Cup? We’ll see how it goes but the focus is on getting out of the pool first and go from there. Last year we lost in the semi-final and we really felt we deserved to play in that final. We’ll be a hard team to beat, but there’s a long way to go before discussing winning the trophy. After Ireland’s Autumn internationals, what do you make on their chances ahead of the Six Nations? I think their chances are very strong. I thought Ireland was very good in defence, the set piece, attack and the team management. They also got the opportunity to bring in some younger players and got three really good wins, with the wins over Argentina and South Africa being particularly impressive. From coaching a lot of the players at Leinster, I can see the strength and depth that is emerging and with all the young players coming through, I can see them serving Ireland well far beyond the upcoming Six Nations. Have you any interest in coaching international rugby again, and if so would Ireland appeal to you? I didn’t know that job was available (laughs). I don’t plan that far ahead. My family are living in Leeds so it’s not ideal being apart so whatever happens in the next few years, the family will be at the forefront of that decision. I enjoyed international coaching and there are not many things better than coaching in front of 80,000 people and trying to help players inspire their nation. But we’ll see how it goes, this is certainly a good place to be for rugby at the moment. Images from Leinster Rugby and Shutterstock.com.